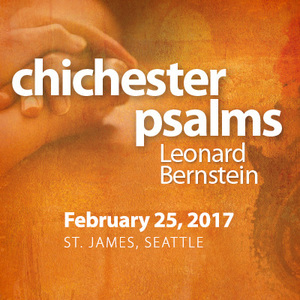 Leonard Bernstein’s beloved Chichester Psalms is paired with James MacMillan’s deeply moving Cantos sagrados in Seattle Pro Musica’s next performance, a concert of sacred music for choir and organ. Both works explore the themes of liberation and the universal desire for peace and justice. Scottish composer MacMillan’s riveting Cantos sagrados depicts the plight of political prisoners in Latin America, while Chichester Psalms celebrates humanity’s capacity for compassion and tolerance.